This is the section where I tell you about things I’m thinking about when it comes to thinking about, and eventually eating, a plant-based diet. I started this new way of cooking and eating in April 2009 and have been asked a lot of questions about it along the way. Things like “why on earth did you go vegan?” “I certainly hope you still drink wine? !” “But what do you eat?” “What about the kids?” etc. People are curious, and understandably so since there is so much in the media these days about food and heart disease, food and cancer, food and obesity, local food, seasonal food, sustainable food. Not to mention the many books that have come out recently like Michael Pollan’s In Defense of Food, Barbara Kingsolver’s Animal, Vegetable, Miracle, and the like. They are also curious because I think most of my friends and family wouldn’t have expected this from me. I love cheese, and some meats, particularly in good hearty French dishes like boeuf bourguignon, or coq au vin. So the vegan switch seemed a little drastic to many. But as mentioned below in some of my musings, there was good reason to try it, and once I got over the initial psychological hump, good reason to continue on. And now I’m hooked. You can read more below about why … and how, and where, and what. 5. To support our local everything. Supporting Toronto’s local producers is not technically a part of veganism but it’s a damn good side effect if I’ve ever seen one. By eating on the fruits and vegetable side of the Food Guide ledger we have an opportunity to embrace all the amazing produce that is grown by our local farmers and, through that, support Toronto’s deep agricultural heritage, build a local food system, and catalyze local food innovation for Toronto’s future. 4. To embrace Toronto’s diversity. In kitchens across Toronto people are cooking Spanish Paella, Moroccan Tagine, Indian Coconut Curried Veggies, Mexican Black Bean Stew, Italian Ribollita. All vegan. All delicious. What a … well … edible way to embrace diversity and the many, many cultures that inhabit this wonderful city. And there’s no end in sight – Ethiopia, Jamaica, Thailand, Finland, Russia – their cuisines all merging on our particular dot on the map. You find me a recipe. I’ll veganize it, and raise a toast to the beauty that is culinary multiculturalism. 3. To try on a different you. Politicians and citizens alike can get locked in rigid views about how the world should work. It happens to the best of us. Simon Brown, a foodie writer and researcher wrote, “A common problem we all have is resistance to change, but keeping an open mind is essential to moving forward. This kind of resistance is bizarre when we realize that we can easily go back to the way things were if a change doesn’t work out well for us. Try on a different perception of yourself and your life for a few days and experience it for yourself.” Wow. 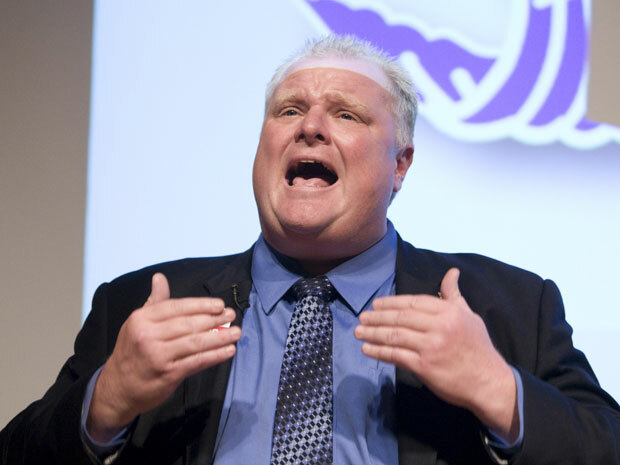 With this kind of attitude Rob Ford could not only change his eating habits but local municipal governance as well. Bring it on! 2. To lead by example in Toronto’s bold climate change agenda. Did you know that Toronto city council unanimously endorsed Change is in the Air: Toronto’s Climate Change, Clean Air and Sustainable Energy Action Plan, which set in motion Toronto’s ambitious climate change agenda? The plan includes more than 100 actions to reduce the greenhouse gas and smog-causing emissions which contribute to climate change. What better way to lead by example than have our Mayor cut out meat, fish, and cheese. As the Environmental Working Group says, a vegan diet can have a notable climate impact. “Bottom line: The vegans are right. 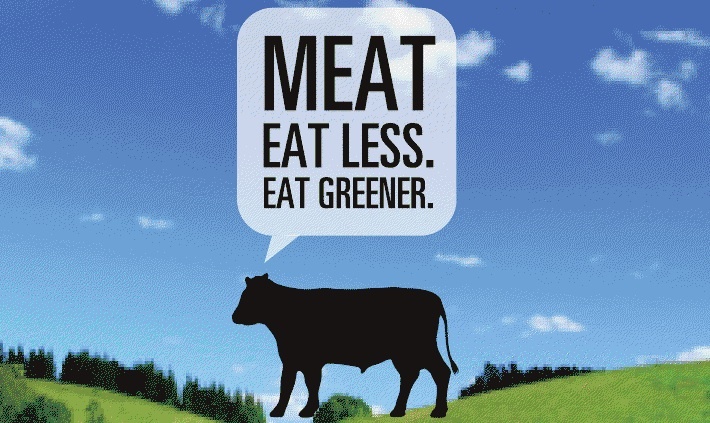 Ultimately, it’s better for the planet to eat fewer animal products. No surprise there. And most of us could benefit from eating less cheese in particular.” How about ice cream? 1. And the number one reason is, of course, to lose weight. Those scales tell no lies. Mr. Ford checked in at a mere 330 pounds on Monday surprising even himself. By cutting out steaks and grilled cheese sandwiches, chicken schawarma and creamy, sugary treats, the pounds will fall off like proposed cuts to the municipal budget. Some actually argue that the only weight-loss plan that has been scientifically proven to take weight off and keep it off for more than a year is a vegan diet. So, give it a try Mr. Ford. You have nothing to lose other than fat on the gravy train. What does this have to do with food? Well this month, after more than 20 years of “assessment,” the Environmental Protection Agency is expected to finally release limits for safe exposure to dioxins. Turns out … get ready for this … “Although dioxins are environmental contaminants, most dioxin exposure occurs through the diet, with over 95% coming through dietary intake of animal fats,” with the highest levels in fish, followed by eggs, and then cheese. Now there’s a rub. Ouch. The article is mostly about Big Ag’s response (surprise surprise) but I still can’t get past the stats. Just one more reason to increase your intake of plant-based foods and keep those cravings for animal fat, in whatever form, at bay. Salt is hardly a recipe, which is what I usually post on v:gourmet. But it is an elemental and important ingredient in most of what I cook. I was fascinated by a recent article in Grist Magazine on salt and why it doesn’t deserve the bad rap it’s received over the past few years. A new study has found that low-salt diets actually increase the risk of death from heart attack and stroke — and in fact don’t prevent high blood pressure, previously thought to be the case. I thought it was worth sharing with you. I never bought the salt = bad story. Especially sea salt. But I did buy the table salt = bad story. And this study confirms that. They argue that “the differences between refined and unrefined salt are significant. (Make sure you use unrefined sea salt, as other sea salts can be just as processed as ordinary table salt.) Unrefined sea salt contains about 82 percent sodium chloride and the rest is comprised of essential minerals including magnesium and calcium; and trace elements, like iodine, potassium, and selenium. Not coincidentally, they help with maintaining fluid balance and replenishing electrolytes. Refined, processed salt is actually an industrial leftover, according to Nina Planck’s book Real Food. Planck describes how the chemical industry removes the valuable trace elements found in salt and heats it 1,200 degrees F. What’s left is 100 percent sodium chloride, plus industrial additives including aluminum, anticaking agents, and dextrose, which stains the salt purple. To gain its pure-white sheen, the salt is then bleached. Thus refined salt is hardly a whole food; and consuming a jolt of sodium chloride upsets fluid balance and dehydrates cells, to say nothing of the harm the various additives and bleach residues may cause.” Who knew the details? Fascinating! So sea salt it is. I use Eden sea salt for my every day cooking. And then I pull out the amazing diversity of other salts for focaccia and other special recipes. 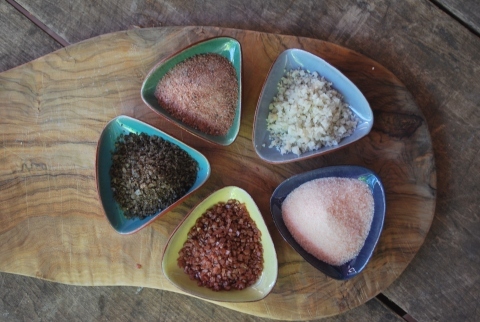 Try them out – like the salts in the photo above: Eurasian Black Salt, Sel De Guerande, Himalayan Pink Salt, Hawaiian Red Salt, and Smoked Salt. With salts like these your table will never be boring, and your heart may actually be healthier. I was just reading a really interesting article in Grist Magazine about a new report from the Environmental Working Group called the Meat Eater’s Guide to Climate Change and Health. Absolutely fascinating. 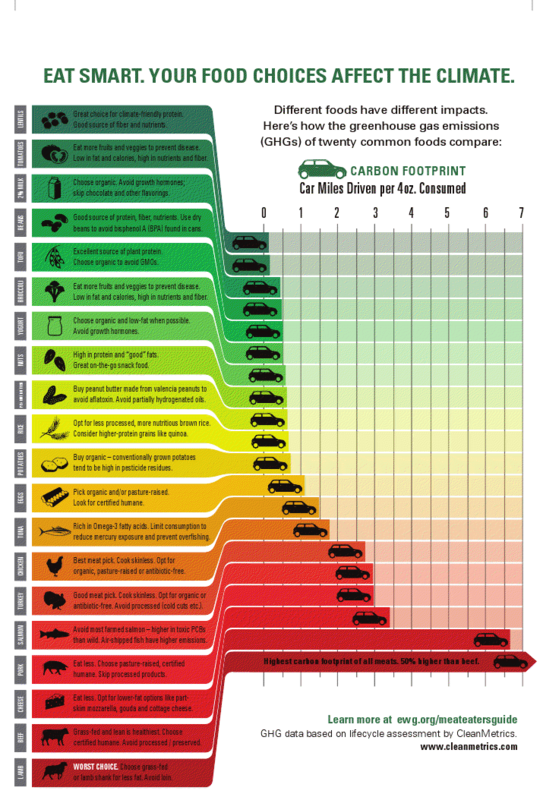 It tells you which meats are the worst in terms of greenhouse gas emissions. And it knocks a punch by concluding that cheese is quite hard on the climate too. What does this mean in real numbers? If you are a family of 4 and you skip steak once/week, it’s the equivalent of taking your car off the road for almost 3 months. Now that’s a crazy stat! Last year I wrote about my trip to NYC with Andrew and all the places to v:eat out in the big city. You can find all our recommendations in musings #6. We went again this year and were pleasantly surprised to discover a few more haunts that got gold stars for their vegan friendly fare. Atlas Cafe – 73 2nd Avenue. 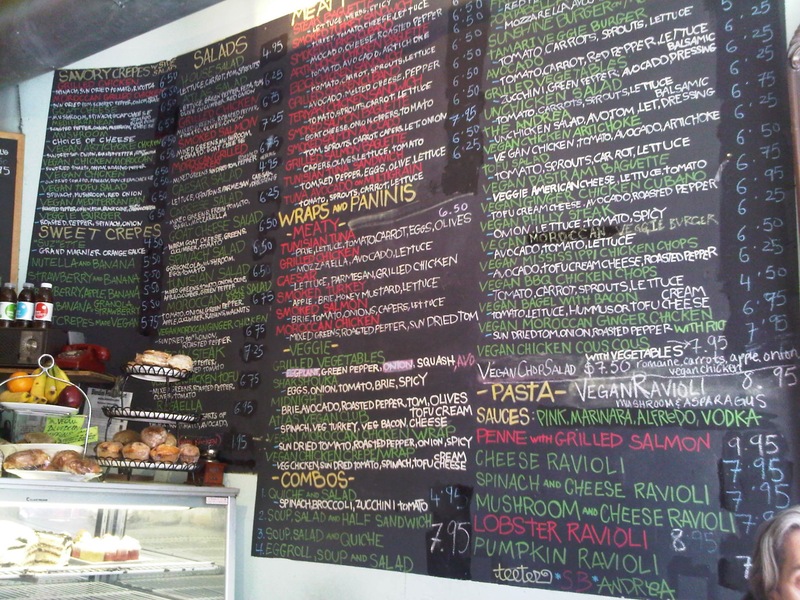 Total whole in the wall (that it’s above) with an exhaustive menu written on chalkboard paint or plain white paper featuring everything from lasagna to chicken wraps to smoothies. Amazing thing though is that they have a tonne of vegan options for breakfast, lunch, and dinner. We went every morning for the Mexican Tofu Scramble which was so good I almost licked my plate, but not quite. That would be embarrassing. The guys were great, super nice, and remembered us by name after our first visit. They also pulled off an awesome soy latte. The Cloisters – Fort Tryon Park in Northern Manhattan. “The Cloisters, the branch of The Metropolitan Museum of Art devoted to the art and architecture of medieval Europe, was assembled from architectural elements that date from the 12th through the 15th century. The building and its cloistered gardens are treasures.” The whole collection is pretty amazing, treasures indeed, but the highlight for me was the medieval medicinal garden that has inspired me to turn my garden at the farm into a place of healing and contemplation. Loved it! But back to v:eating out. The Cloisters had a tiny little cafe where we assumed we wouldn’t find anything but, much to our surprise, they had a fantabulous apple tofu curry sandwich on whole grain. Which tells me two things: first, NYC is so much further ahead than Toronto on the vegan front; and second, that you just never know. Angelica Home Kitchen – 300 East 12th Street. This is a cozy, unpretentious spot with a fullsome menu filled with vegan delights including dragon bowls, warm tempeh open-faced sandwiches, and southern style cornbread with miso tahini spread. 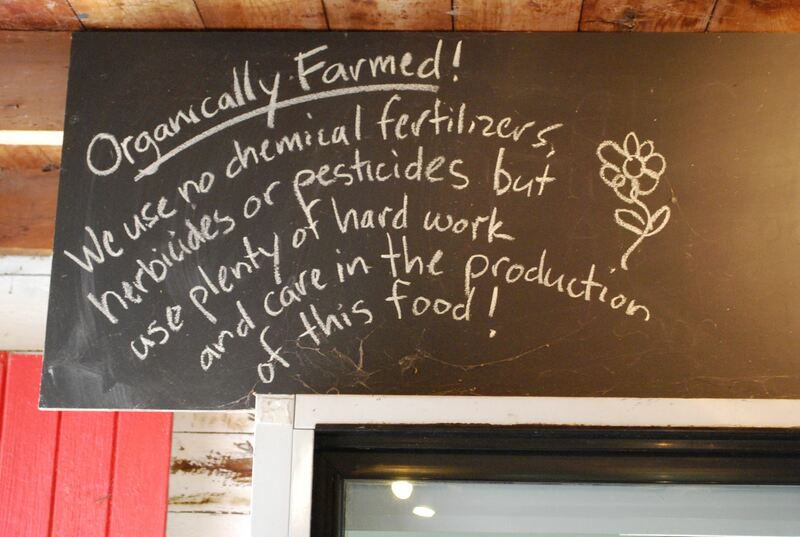 I don’t think they bill themselves as vegan but they are pretty much all v:friendly, and take very seriously the philosophy of supporting local, sustainable, organic farmers. We had an awesome lunch there and left with their cookbook in hand so we can bring a little of NYC back home to our kitchen. Delish. Morimoto – 88th 10 Avenue. 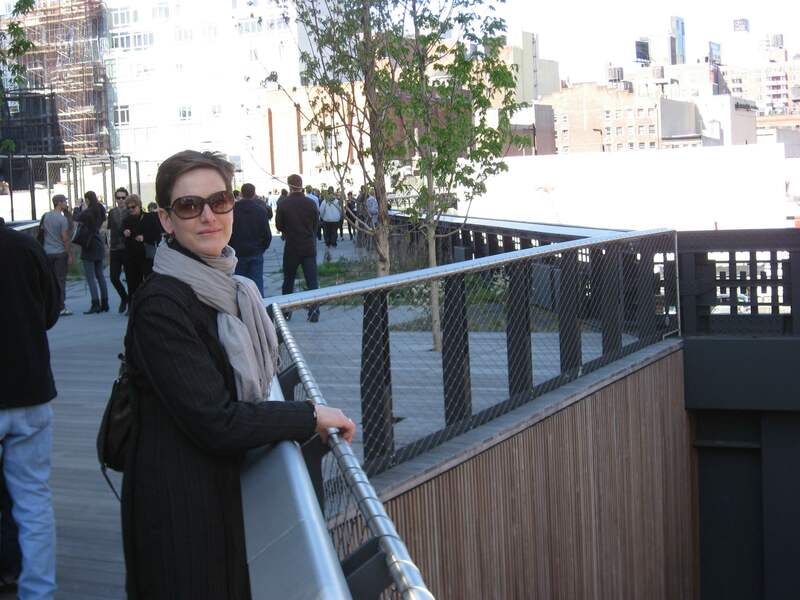 Next time you are in NYC you have to take a walk along the amazing highline which is an inspired piece of urban planning and design. After a morning of taking in the elevated urban park, you need to head on over to Morimoto for lunch. Run by the renowed Iron Chef Masaharu Morimoto, this very cool restaurant, has lots to offer the vegan traveler from the veggie bento box to a whole selection of veggie sushi, noodles, and more. And you get to hang out in the uber-chic interior and drink sake to boot. Musing #11 What about organic? 1. Because it’s good, not just for your family and the environment, but for your health. This is a debate that has raged for years, if not decades. The naysayers argue that you can’t prove it. Well, until now. There is a new study just out called: “Fruit and Soil Quality of Organic and Conventional Agroecosystems,” a study led by Washington State University Regents professor of soil science John Reganold. 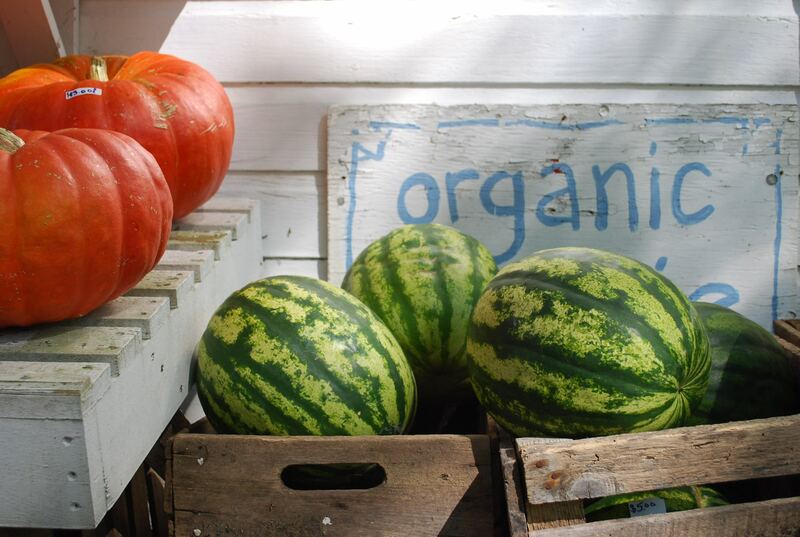 It’s one of the most comprehensive, persuasive studies yet to show the nutritional and environmental benefits of organic farming. It’s just better for you. 2. And it tastes better. Another raging debate, because, again, the naysayers argue that you really can’t “prove” this one. Prove Schove. I defy anyone to go to Vicki’s Veggies – home of the organically farmed food (in the photo above) – and try any of their super delicious, highly prized, incredibly diverse organic veggies, grown with not just hard work and care, but love and soul as well, and tell me they don’t taste better than the conventional stuff you get at the grocery store. No proof necessary. Just sensitive taste buds. There’s no comparison. 3. It’s better for the planet. I remember, when organics were just becoming more publicly and widely visible, my brother mentioned that he couldn’t believe some of the products that were being sold as organic. He could understand organic bananas but organic oreos? organic honey nut cereal? I agree, back then it seemed weird, until you could wrap your head around the fact that when things are sold as organic, it’s not just about the thing – the banana or the oreo. It’s about the whole system. 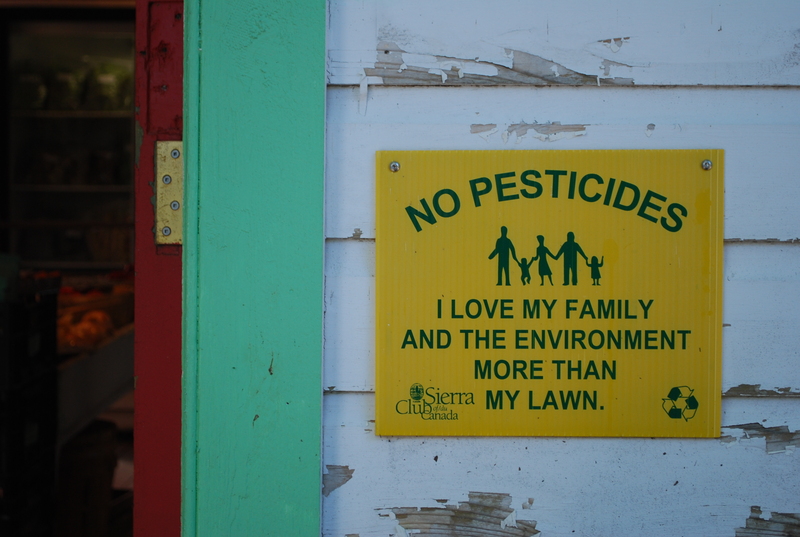 It’s about the way we grow food, treat the land, respect the air, water, creatures, and farm workers. Non-organic food relies on chemicals. Period. There’s not a whole lot else that needs to be said. 4. Another point – which isn’t just about organics, but for me it is part of the same question – if you buy local and organic, you support the local economy as well. You can buy big conventional organic which I do. But if you get into the habit of buying local, organic food from the likes of Tim and Vicki at Vicki’s Veggies, for example, you invest not only in your health, the taste of your food, and the planet, but the well-being and economic viability of our local businesses, and a sustainable food economy. Which we should all be thinking about given major global events recently like, say, oh, H1N1 or mad cow or the half a billion eggs recalled in the States in the summer 2010 due to salmonella poisoning. Think about it. Go organic. I would argue whole-hog. But if that seems daunting, start with something simple like spices (HUGE difference), vegetables, and fruit. And then move onto other things like grains, beans, and condiments. It’s not that hard. And the price difference is worth it. Speaking of which, if the cost is an issue for you, spend more on organic food and just eat less. We could all use a little less food. As Michael Pollan wisely says: “Pay more. Eat less.” Heed his advice – for you, for your family, for our farmers, for the planet. Musing #10 What were the biggest vegan surprises? Too much information, right? Anyhow, big surprise to me! Not that the information has deterred me from having my nightly glass or two of pinot but it’s interesting to know. 2. Crackers – I assumed crackers were just crackers but a lot of crackers have eggs, milk solids, and other non-vegan ingredients. My favourite these days are either Andrew’s homemade baguette crisps or Margaret’s Artisan Flatbreads, especially the ones with chives and garlic. 3. Soup – this one was a real surprise. I get beef barley or chicken noodle. Obviously not vegan. But what about vegetarian soups? Well, there are a couple of issues with vegetarian soups if you’re looking at them through the vegan lens. First, a lot of them saute veggies in butter. Second, a lot of them add cream. Third, and here’s something I never knew, many chefs use egg white as an emulsifier. Who knew? Not me! Anyhow, I think homemade soups are just better anyway. So make a little stock and fire up your own soups. They are so easy. And worth it. Can I sneak in one more? Pasta! Dried pasta is usually okay but fresh pasta is often made with eggs. Again, you need to decide how strict you want to be – sometimes I am, sometimes I’m not – it’s just useful to have all the information at hand so you can make conscious decisions. Musing #9 What has vegan done for me? This is a big question, and one, I’ll be honest, I’ve avoided posting because it’s hard to answer without getting too graphically personal. I’ll try to be short and sweet and leave a lot to the imagination. You might want to read between the lines to get a better picture. When I went vegan, the first thing I noticed was that I just felt better – I had more energy, I was more alert, I felt more balanced. Okay, I know, barf, right? More balanced? I don’t want to sound like one of those vacuous yoga chicks drinking their greens + talking about being centred (you know the ones… and no offence to the true blue yoga chicks for whom I have great admiration), but it’s true. Scratch the surface, and what was really going on was that I was sleeping better, I was losing weight (for the first time since Joshua was conceived over 17 years ago), and my hormones, and their fluctuations, were normalizing. My eczema essentially went away. My asthma was a mere shadow of its former self. The joys and sorrows of being a woman started balancing out on the joy side – no cramps, no PMS, way less moodiness. My skin became clearer. And, I don’t know if it’s just the food, hitting 40, quitting my job, starting Small Change Fund, or what, but I felt a lot more grounded, more able to cope with stress, and less affected by the inevitable irritations of life. I’m banking my money on the food – I think in many ways I’ve added a lot more stress to my life but somehow I’m just more able to deal. This has continued since I started being vegan in April 2009. And I know I’m not crazy or just making this up because Andrew feels the same way and he’s not one to sentamentalize. For him the big clincher was allergies – years of being debilitated by sneeze attacks, runny nose, and total allergenic-lethargy gone! I mean gone! No toxic, sedated allergy medication any more. Just gone. The other reason I know there is something to this is because when I don’t eat vegan I know it. Take last night as an example. We went to a community event where there was nothing vegan to eat. Nothing. (I’m starting to develop a meat conspiracy theory). “Oh well,” I thought, “no biggie. It’s all local, organic food made with loving care.” That’s all true but I went to bed wheezing, I woke up with zits surrounding my right nostril, Andrew sweated profusely all night, and all morning I felt like my energy meter was bottoming out around zero. It’s not a coincidence. This happens each and every time I wander off the grains-veggie-beans path. So back on the wagon with me. This morning? Dulse, toast, and olive oil! Lunch? Vegan Cesar Salad. Dinner? Not sure yet, but likely a yummy vegetable curry with rice. And a glass of pinot. Or two, because I’m on holiday. Chin chin to feeling healthy. And knowing your body. I love being more in tune with the effects of food on my wellbeing. Lord knows I wasn’t before! You really are what you eat. Musing #8 Has anyone noticed? 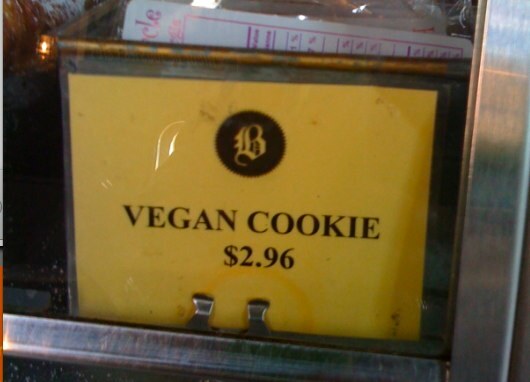 Vegan options are creeping into our day-to-day! They are around every corner. Okay, maybe not quite but I was struck by their increasing availability today because I was having coffee with a really smart guy named Rob Campbell of Smojoe at Balzacs in the Distillery District and there, as I stood in line for my soy milk latte, were vegan cookies. I then thought back to the day I discovered that there is a vegan bakery on Queen Street East called LPK’s Culinary Groove! Who knew? They have great Nanaimo bars, and cupcakes, and other tasty treats and they supported the Small Change Fund Toronto Kitchen Party which was incredibly generous of them and for which I was deeply thankful. As were my children since I don’t bake very much anymore. Then, low and behold, my friend Michael Awad, photographer extra-ordinaire, suggested we go our for lunch at the crudacafe in St. Lawrence Market. Now, before I tell you about crudacafe you have to know that Mike is not a vegan. That’s him eating a really greasy, very large, totally unhealthy hamburger. But he suggested it and I wasn’t going to argue. I was amazed to find a totally cool woman, Claudia, serving up Butternut Squash Miso Soup, Wild Mushroom Nut Burgers, Enchiladas with flourless organic corn wraps, guacamole, spinach and marinated organic mushrooms, etc. It was fantastic! And in the basement of St. Lawrence Market no less, just a floor below the racks of curing hams, Italian Salamis, and ostrich steaks. If you can find vegan fare at your local coffee shop, local market, and local bakery, soon you may be able to find it everywhere. One can only hope. Whatever, it was a pleasant discovery and I strongly recommend checking out any of these fine establishments. Support your vegan everything since it’s a tough slog. Musing #7 What are others saying? I like this passage for two reasons. First, I have been stupefied by the natural resistance people have to eating differently. It’s one of the things that have surprised me most about changing my diet: how hostile people are to the idea of making changes themselves, even when they know they need to make them. I constantly hear “Oh, I could never give up milk” or “I just like steak too much” or “Is it even proven that whole grains are better for you?” and so on and so on. Simon Brown hits the nail on the head – just try it and see what happens. Of course you can make changes, you just have to decide you’re going to. The second reason I like what he says is that it’s true. You do learn the effect food has on you. Now that I’m eating a mostly vegan diet I am acutely aware of the influence of certain foods. When I do eat a little cheese, or meat, or other things I don’t consume on a regular basis, I know exactly the effect it will have on me. I’ve learned that some things really affect me, like cheese. Other things not so much, like fish. It’s fascinating. And helpful. And empowering since I can now make really conscious decisions about what I eat and why, with the full knowledge (almost full knowledge since I’m still figuring it all out) of whether it will make me feel more alert or sluggish, calmer or more energetic etc. I used to just trip through life eating whatever, completely unaware of food’s influence on me. I think most people do. It’s nice to now be in tune with my food since, well, we are what we eat. Musing #6 How do you v:eat out? 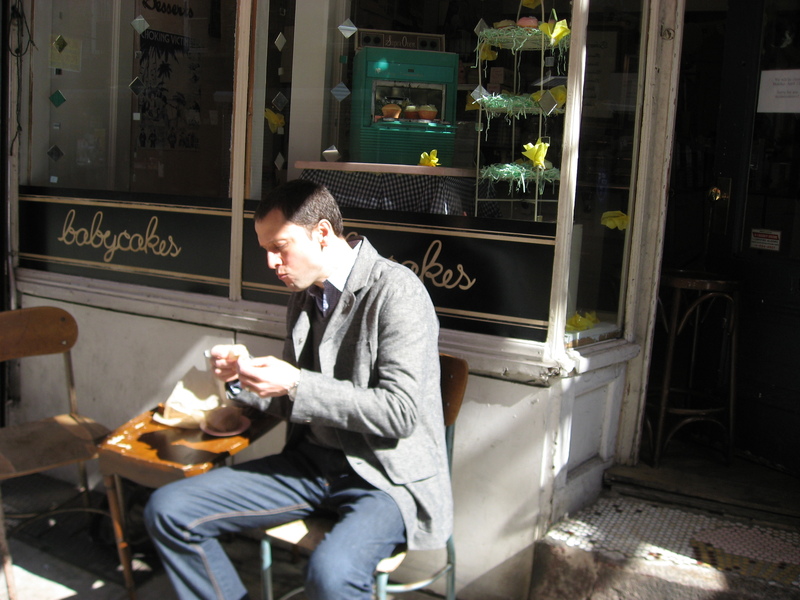 So Andrew and I went on our annual trip to NYC this past weekend (that’s him chowing down in front of Babycakes!). This was our first trip to NYC as (almost 100%) non-meat, non-dairy eaters. Now, as places-to-visit-as-a-vegan go, NYC isn’t a bad choice given the plethora of food establishments. Nevertheless I was pleasantly surprised that we did it!! Not 100% but 99% and that 1% diversion was by choice, not due to lack of options or desperation or thin resolve. It was a lot easier than I thought and as enjoyable, yummy, and satisfying as any other trip we’ve taken. A true v:gourmet trip to the Big Apple!! Wild Ginger – 380 Broome Street on the cusp Nolita, Chinatown, and Little Italy. Totally satisfying lunch – the highlight being the miso soup to start with green onion and soy protein. Quick. Cheap. Good. Convenient. And 100% vegan. HanGawi – 12 E32nd Street between 5th and Madison Avenue. Great atmosphere. Totally relaxed. Good service. Really good vegan Korean food (spicy baby dumplings, hot rice pots, sautéed organic maitake mushrooms and asparagus etc.) with the highlight, oddly enough, being the ginger tea with honey and pine nuts. So good. Pleasure in small things. Perfect way to end a satisfying meal. Gobo – 401 Avenue of the Americas in the West Village between Waverly Place & 8th Street. Really nice place. Great food. A couple of notches up from Wild Ginger in terms of choices, presentation etc. Plus much of the menu, including wine, is organic. Andrew had barbequed eggplant & tofu with portabella mushroom on wheat bread with yam & yucca fries and homemade ketchup (must try making some one day). I had tender sliced seitan in ginger marinade with asian kale, squash, and brown rice. I noticed that both Wild Ginger and Gobo cook soy beans with their brown rice. It’s a nice touch and makes sense. Blossom – 187 9th Avenue. 100% vegan. Cute spot if a little crowded (but what restaurant in NYC isn’t?). Mushroom cigars, cape cod cakes (a blend of hiziki seaweed, tofu, herbs and spices, served with a vegan tartar sauce), seitan cutlets pan-seared in a sauce of port wine and mushrooms, accompanied by creamy mashed potatoes, tempura onion, and sautéed garlic spinach. Need I go on? Yum Yum and Yum! We also tried their cafe – 466 Columbus between 82nd & 83rd – great after a walk in Central Park or a visit to the Natural History Museum. Gramercy Tavern – 42 East 20th Street – This was our splurge-y night out for Andrew’s birthday. It’s not vegan or even vegetarian but they aim to please so we thought we’d give it a whirl. We called ahead of time to see if they could deliver and the answer was, of course, YES! They prepared an absolutely fantastic 7 course tasting menu, one course of which was not vegan but it sounded too good to pass up – homemade pappardelle with nettle sauce and pecorino. Holy cow. It was worth it. Another highlight was the farro smothered in pickled ramps (must try to make this as well as the nettle sauce) and braised leeks with some sort of sauce, reduction, really yummy sauce-y layers of taste. It’s an expensive night out but they are top-notch and do what they can to please. Highly recommended. Our waiter was Colin from Newfoundland. Love him. And his wife is vegan-ish so, hey, it was all working for us. Babycakes – 248 Broome Street between Orchard & Ludlow – NYC’s famous and much-adored vegan bakery. This was breakfast every morning. We tried the cornbread (yum), the pumpkin bread (yum), the spelt biscuits (yum), and the scone with raspberry jam and vegan creme fraiche (yum and yum). As I mentioned in the cornbread recipe from a few weeks back (Babycakes’ own), I haven’t explored the world of vegan baking much but I am now ready to don that apron and dig into the spelt flour full force. Oh, and if you happen upon Babycakes for breakfast, lunch, or dinner, buy extra for those much-needed pick-me-ups throughout the day, like after a tromp around the Whitney Museum where we saw Steve Martin. The real one. He smiled at me. 1. Ask and you shall receive. 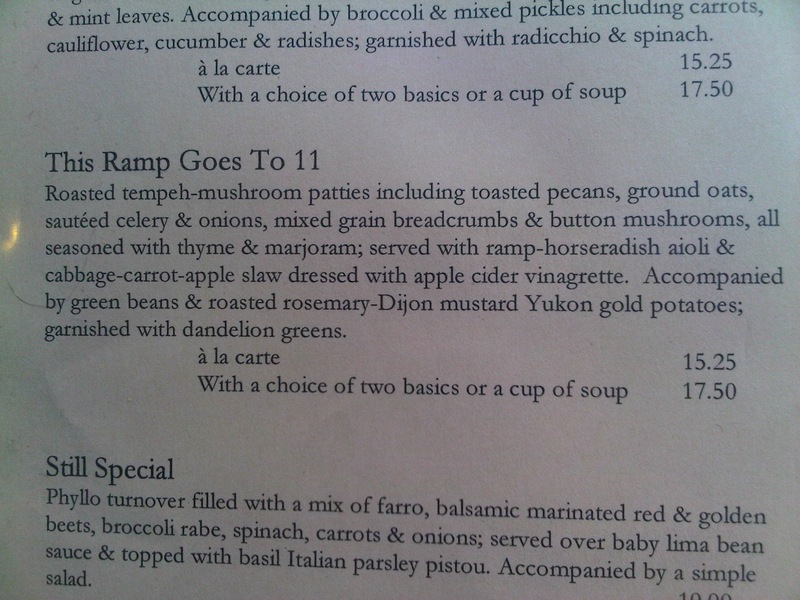 Most places want to please and are willing to modify the menu if you ask nicely and give them some advance warning. We’ve done this in Toronto, we did it in NYC. I even did this last summer – last-minute no less – at a back-country lodge in the Rockies. No biggie. If you’ve got a favourite restaurant, call them up. Ask. I bet they’ll at least entertain it, if not make you some super-fab meal that everyone else at the table wants, even if they don’t admit it. 2. Do your research. You have to plan ahead, particularly if you’re traveling. Look for vegan restaurants, vegetarian restaurants, restaurants that favour organic. If you don’t find any that are explicitly up your vegan alley, try to find places that have deep roots in the rice and veg culture like Korean, Japanese, and Thai. Get off the beaten track and try something new. 3. Cut corners when you have to, or when it’s worth it. Eating out, at home or abroad, should be fun and stress-free so don’t sweat it. If you have to cut corners (or want to because some option on the menu is too tasty-looking to pass up), go for it! Eat it. Enjoy it. We have to look at the big picture and live for the moment. 4. Surf the appetizer section. I’ve noticed that in standard restaurants with meat, fish, and cheese on the menu, the main courses tend to be packed with the aforementioned ingredients. But you can often find some really good vegan fare on the appetizer list (albeit sometimes with a little exclusion or two). So order two or three of them instead. We went to our hotel’s restaurant, Gemma, and found really good slow-roasted tomatoes with basil on crostini, a beautiful arugula salad with roasted beets, pistachios and – please hold the – goat cheese, and a nice toss of fava beans, spring greens, and croutons. Done and done. 5. Support your vegan everything. Let’s face it. Eating vegan can sometimes feel like you’re swimming upstream. So just think about the folks trying to run a business that’s founded on vegan principles. It’s got to be hard so we’ve got to support them, encourage them, patronize their stores, businesses, and restaurants. Speaking of which, Babycakes Toronto anyone? I think the city’s ready. 6. Bring snacks. We learned this the hard way on trips past when we’d have a 4:00 energy crash and all we could find was crappy junk food and street dogs. So now we make sure we’ve got some tamari almonds, or pumpkin seeds, or a few slices of Babycakes’ cornbread to go. As the boy scouts say: be prepared. So go ahead. V:eat out. It’s easier than you think. Musing #5 But where does this lead? I was going to do a different musing today but then I started reading the Tassajara: Dinners and Desserts cookbook. The Tassajara Zen Mountain Center is the oldest Japanese Buddhist Sōtō Zen monastery in the US located in the Ventana Wilderness area in California. It attracts serious zen practitioners and is known for its mission of teaching teachers. What I’m about to write has nothing to do with veganism I don’t think but it’s an attractive add-on to be sure. Something we can all aspire to! “Food is understood to be spiritual practice. Students working in the Tassjara kitchen have the opportunity to make an effort to be generous, mindful, loving, kind, compassionate, and calm as they prepare food. It’s not easy, but with a little effort it is possible to experience true peace in the face of tremendous pressure. There is something very mysterious that happens when attentive minds prepare and cook food. The food tastes better and simple dishes take on a special elegance. “Give yourself permission to spend time just getting the ingredients ready before you even turn on a burner. Getting your workspace in order is the first step. Don’t worry if it takes a bit longer. Just try to concentrate on each movement. This is what cooks do. They do this over and over again every day until they no longer have to think about it. At that point, like all artists, they have the capacity to lose themselves in a deeper flow. You can find this space for yourself with practice. Okay, now I know all of you with screaming babies, or busy jobs, or ailing parents, or messy teenagers, are probably saying “Come on! What gives? Get real!” That’s what I was thinking too. But I’m going to give it a shot. Because it sounds really nice. And maybe I won’t cut myself so often on those new Japanese chef knives I got Andrew for Christmas. And maybe some of that mindfulness, deep flow, esoteric truth-finding, and true peace will creep in. You never know. Stranger things have happened. This question is perhaps a little harder. How did I go vegan? Not easily. I resisted for a long time. I had heart palpitations when I thought of summer afternoons sitting by our friends’ pool in the county eating local award-winning cheeses, hand-cured salamis, and home-made chicken liver pate, with a nice bottle, or two, of local rose of course. How would I forgo this social, emotional, psychological, and physical tonic? It was difficult at first. But in hindsight the difficulty was really in the fretting, in the anticipation of the unknown (a not-uncommon human fear). Once I dove in, with the prodding of my very practical husband, it was fine. As mentioned in About v:gourmet, “Andrew (my awesome, handsome, totally supportive husband) said ‘It’s just food. Cook it. Eat it. See what happens.’ So that was my approach.” And that approach was just what I needed. Okay, enough of the philosophizing. Practical realities here. How did I go vegan? I bought about 10 recipe books. I did a lot of experimenting. I restocked my kitchen cupboards and spice cabinet. And, I went on this journey alone, with no expectations about anyone else. I have a husband who was the steak-frites champion of the world. I have 3 kids who love sliced ham, bacon, and lots of cheese (oh, and eggs). It was important for me to separate my “ridiculous diet” (as my 16-year-old likes to call it) and their autonomy and culinary choices. So, I found ways to please everyone. I now cook like a farm wife, like my grandma. Some meat. A starch (rice or potatoes). And a bunch of veg dishes. Everyone gets to opt in or out of whatever is on offer. I opt out of the meat. The kids opt out of one or two of the veg dishes. 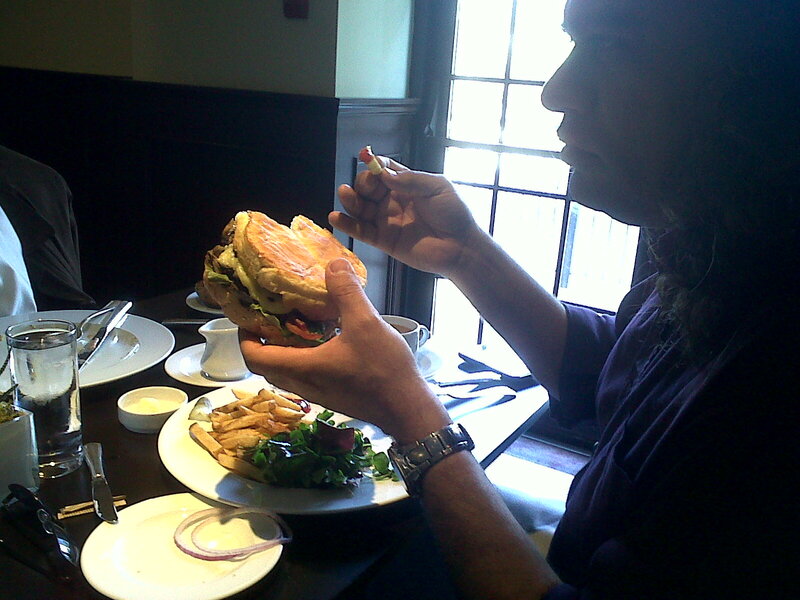 Andrew weighs heavily on the vegan options with a tiny slice or two of steak or chicken. It works. I guess the first step was deciding it was important enough. For me. For the family too, for while I haven’t asked them to embark on this journey with me, I believe they have benefited from it even if it’s just because they’ve been exposed to other cultures, other eating habits, other culinary traditions, other norms. And then it was finding resources to help me – recipes, restaurants, blogs even! Hopefully this blog – for any of you contemplating going vegan in part or in whole – is a resource for you. If you have any questions, or want to chat, send me an email: rutha.richardson@gmail.com. Musing #3 But what exactly? People often ask, “Do you ever eat meat or dairy?” YES! Not that often but I still love it on occasion and I’m not a dogmatic person. I think I’m learning that life is rarely black or white but wonderfully nuanced shades of grey. I’m trying to figure out the whole macrobiotic philosophy which I must admit I don’t completely understand but intuitively I like the approach. In Michio Kushi’s book, The Macrobiotic Path to Total Health, he talks about macrobiotic dietary guidelines. Basically he says that daily we should eat whole grains, vegetables, pickled stuff, beans and bean products, and seaweed. Weekly we can add in sweets, nuts, seeds, fish and seafood, and fruits. Monthly we can indulge in meat, eggs, and dairy. So, how I interpret that is that nothing is necessarily good or bad, we just have to think really hard about balance and be aware of what effect certain foods have on us. 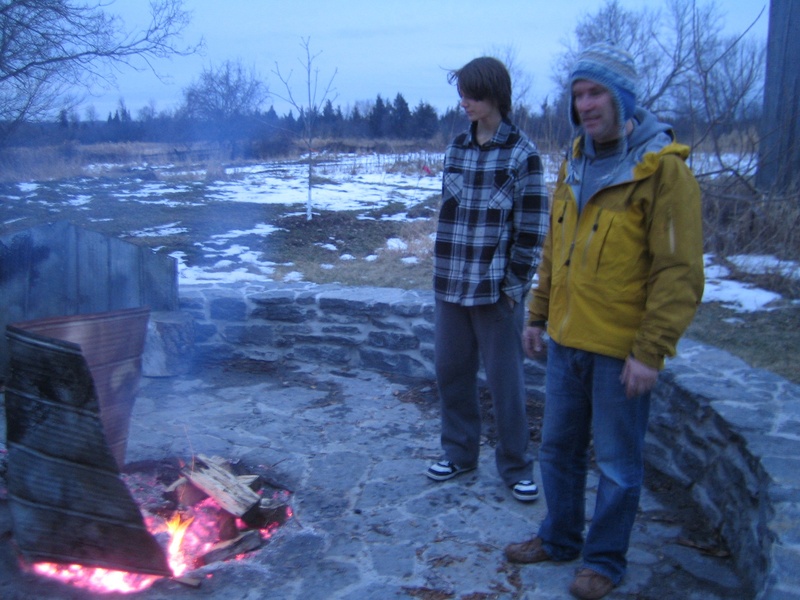 So, for Christmas dinner our in-house chef and my brother-in-law, Eric Rogers, cooked two legs of lamb smothered in garlic and fresh herbs in the fire pit at our farm – roaring fire all day long, great coals, wintry sky, lots of hefty teenagers to haul wood and realize their inner pyromaniac – it was unbelievably delicious. If truth be told my favourite item on the dinner plate was the parsnip and celery root puree but that lamb had me salivating as well. The point is that, for me, the main motivation is health, and a little lamb once in awhile on a high holiday, or a small piece of grilled salmon when we cook it for the kids, is not going to set me back health-wise. And to boot I’ve become acutely aware of how my body reacts to the things I’ve removed from my day-to-day diet so I get to, more consciously, weigh the pros and cons of eating that hunk of brie or German salami. “OK v:friends, am sooooooo excited! See what I just tried, thanks to my newly-found v:gourmet inspiration…. Go Nina-Marie Go. Way to take v:gourmet up a notch. Although I must admit I’m still thinking about the pool boy, not the canapés. I’ve changed my mind. My first musing should have been “do I still drink wine?” because in fact, upon further reflection, the first response I get from most people is “Well, I certainly hope you still drink wine!” Absolutely! And lots of it. If I can’t eat cheese, I better be able to have that glass of pinot at the end of the day! As Michael Pollan says: “Eat food. Not too much. Mostly Greens. With a glass of wine.” Okay, so I added that last point but it is in his book! I guess my first musing should be “why did I go vegan?” since that’s the first question I get from friends and family and others into whom I bump. Veganism, more often than not, is based on an “ethical commitment or moral conviction concerning animal rights or welfare” which I totally respect but that’s not why I went vegan. I went vegan because I was, well, not worried, but baffled by a few minor health concerns and bodily changes. When I talked to my doctor about it, God love her, she told me to take a nap. Which was good advice but I knew it wouldn’t quite do the trick. 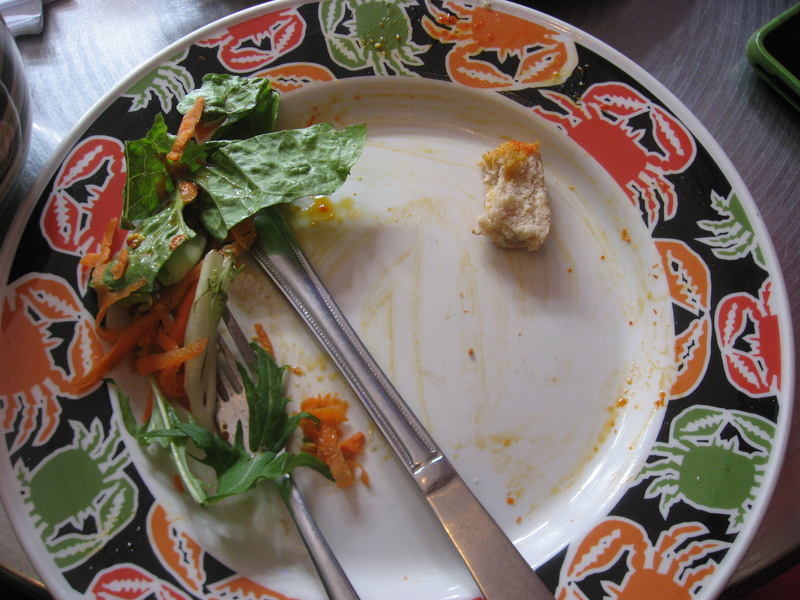 So through other routes I came to a different solution – eating vegan (although I also took advantage of that nap!). I don’t love using the word vegan since it conjures up images of tree-hugging, Birkenstock-wearing, animal-loving hippies. And, while I do adore trees, and wear Birkenstocks, and love animals, and have many hippie-ish friends, I don’t consider myself part of the stereotypical crunchy hippie camp because I also love really nice Italian boots, cashmere sweaters, and high quality linens. But whatever. Call it what you like, it’s what I’m trying to do. Eliminate meat and dairy and focus primarily on grains, beans, and veggies. I’ll muse about this more in a future post but, let me tell you, it has done wonders for me and now I can’t stop! I really like your website and the food on your website i like the most on your website is the potato leek soup. Sammy. Thanks Sammy. You’re too sweet (which is why I love you so much)! Just for that comment I’m going to make you Potato Leek Soup tomorrow. You’re my favourite little guy. Okay. I’m only on Musings #1 (after having cried at the cuteness of Sammy’s comment), and need to offer a label to your musing: You’re a CHAMPAGNE hippy Ruth!!! ha ha ha! A vegan eatin, tree-huggin, Italian boot wearing diamond clad machine!!! I’ve never been called a diamond clad machine before. And I’m not ashamed of the CHAMPAGNE hippy label. Vegan eatin, tree-huggin, Italian boot wearing diamond clad machine seems to fit pretty well. I could wear that label. Let me try it on for size for a day or two and I’ll get back to you. This is great Ruth! I love the way your voice comes through in your writing!! And I think it’s wonderful that you have included some of the yummy recipes from Christmas–thanks Eric! Champagne hippy, hmmm… that’s an interesting new identity. 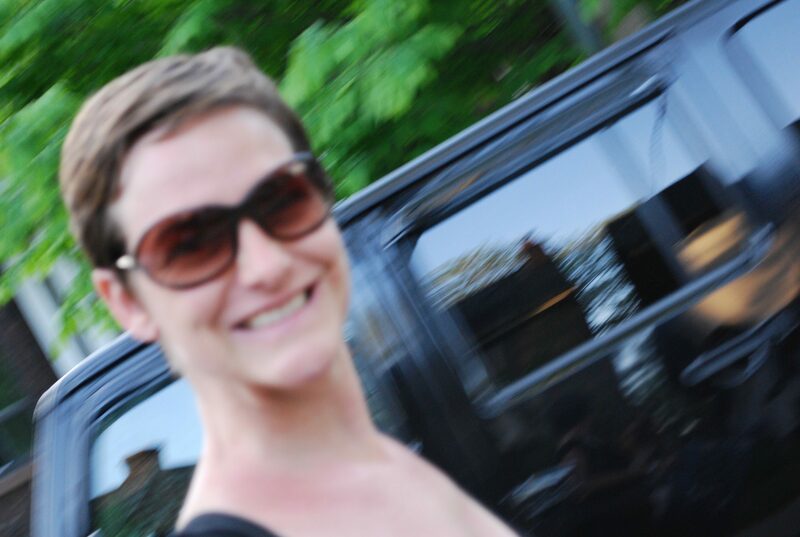 Ruth–Look at you–blogging! I love v:gourmet… it’s positively charming in the way it demystifies the v lifestyle. And honours and celebrates my favourite thing: FOOD! Lovely. (The pastry looks mouthwatering). Wayne Roberts is on my fb and I found your blog through him (thanks Wayne). Just a short note to tell you that I am on the same path, and yes, huge health benefits. I swear if more people followed this regime; a healthy flexibility around food and moved the focus from meat and dairy, they’d feeeel so much better. My change was and is a continuum I’ve made some big food choice changes in the past year, one of which was to give up gluten entirely and red meat. I’ve done that and more. And yes, I feel so much better. I have a certain lightness that I enjoy. Thanks for a great blog. I am booking marking you. Thanks for writing and great to hear your story. I haven’t cut out all gluten but I’ve certainly reduced it. And it is amazing, isn’t it, how much better you feel? Glad you are enjoying your food journey as much as I am! And am tickled pink that you like the blog. Ruth! I made your smokey tomato lentil soup the other night..and it was delicious.. thank you for always warming the soul with your beautiful recipes and site. Thank you Julie – always gracious! I appreciate your thoughts; they bring warmth to my soul! Your blog is fantastic! Thanks to Cathy Smart, I have spent hours pondering your recipes and inspiring musings. My husband has been vegan for 22 years. He doesn’t share cooking so it’s all up to me. I’ve been a life-long cook, with over 1000 cook books in my library, and have been bringing people together over delicious food for many decades. Now, I want to master the gourmet vegan lifestyle. Thanks so much for your inspiration! Please keep up the good work. Thanks Sue! What a nice message to wake up to. 1000 cookbooks??? That’s crazy, and I must admit I’m a little jealous. I just bought Yotam Ottolenghi’s new book Jerusalem which I’m dying to crack open. I’ll keep you posted. Thanks again for the kind words…..